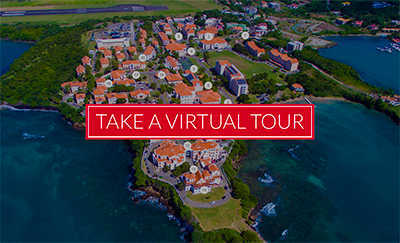 Students begin their academic studies at the stunning True Blue campus, which rises atop a peninsula in the southwest corner of Grenada and is a beautiful combination of Georgian architecture visually enhanced with vivid Caribbean colors. 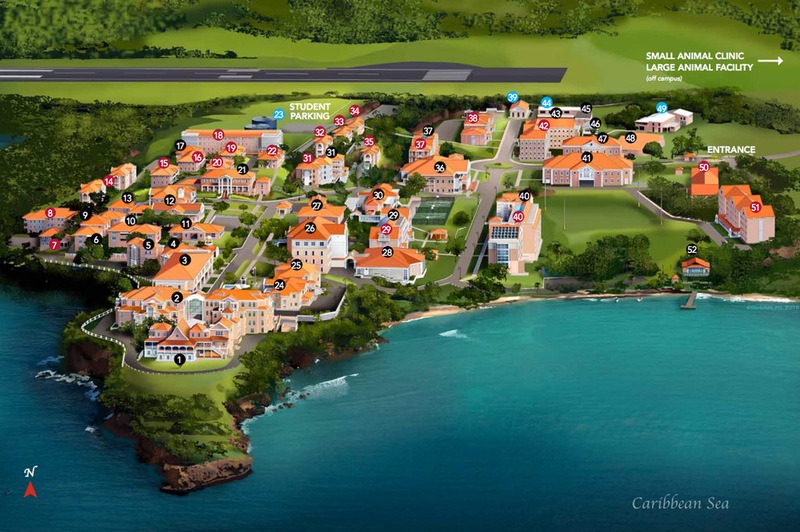 More than 65 buildings spread across the vibrant seaside location. The campus is always expanding to keep up with the latest technologies and to provide students with the best learning environment. Major construction is currently underway on our new dormitory and fitness/group study center.